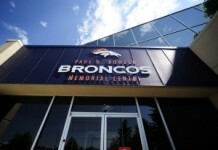 Would the Broncos miss Bradley Roby or Darian Stewart? 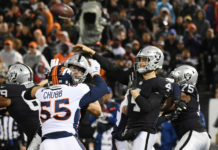 The Denver Broncos are going to have a much different look in 2019, but the future is still unclear for a couple of former starters in the secondary. 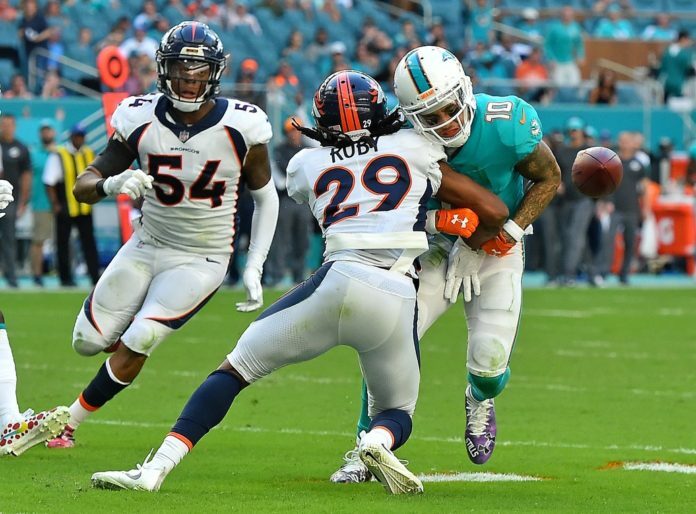 On Wednesday, first-year head coach Vic Fangio told reporters that cornerback Bradley Roby will be allowed to try his luck through free agency. 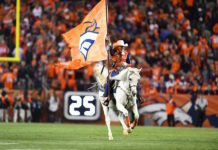 Roby, 27, has spent his entire five-year career in Denver. The former first round pick first emerged as the team’s slot corner with Chris Harris Jr. and Aqib Talib on the outside, but saw his role increase when Talib was traded to Los Angeles. According to Pro Football Focus, Roby has struggled with consistency throughout his career and it’s been extremely evident over the last two seasons. After posing a career-high grade of 78.3 in 2017, the former Buckeye posted a career-low grade of 58.9 in 2018. After a disappointing season, Roby’s future in the Mile High City is in question. Along with Roby, safety Darian Stewart may not be back next season. The 30-year-old has spent the last four seasons in Denver and has performed relatively well during that time. Stewart has two years left on his contract, but the Broncos could move on without having it result in too much dead cap money. It will be interesting to see how the Broncos decide to play the situation, but it appears that Stewart is becoming restless. On Wednesday, Stewart posted on Twitter that he needs to be informed of the team’s decision sooner rather than later. With free agency fast approaching, it’s tough to blame the veteran defensive back.